Also known as “Master Select”, this is an excellent addition to Mount Gay’s range. This is a selection of the very oldest casks in Mount Gay’s reserves, some up to 30 years old! The name is taken from the year of Mount Gay’s foundation, making it one of the oldest distilleries still in operation today. The spirits used in this bottling are distilled in both pot and column stills, providing an excellent balance of light and heavy rums, which ensures a great consistency of flavor and complexity. Each cask that makes this annual release is hand-selected by the Master Blender Allen Smith. A small batch production, only 12,000 bottles are released worldwide every year. 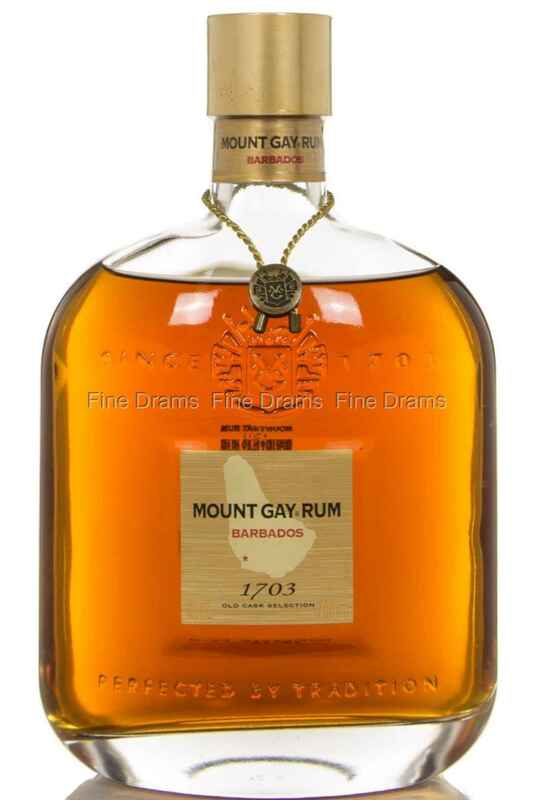 Given Mount Gay’s huge global popularity, this is not very much at all, and drinkers should move fast if they want to try this exceptional rum. The nose brings delicious oaky, caramel and thick brown sugar aromas, with a little tropical fruit and cake-y notes. The palate is thick, rich and dense, with a buttery mouthfeel and a hefty dose of woodspice. Toasted oak and succulent cane round out the palate. The finish is delicate, with cane notes taking the fore and a little woodspice. This is a great looking rum too, with the amber spirit charmingly presented in a decanter-style bottle, complete with a little medallion across the neck.